Litchfield Country Club is one of the original eight Grand Strand golf courses. This Willard Byrd design opened for play in 1966 and continues to be one of the favorite Myrtle Beach golf courses. Its traditional design has all of the Southern Lowcountry charm one would expect of this former rice plantation. The narrow fairways of Litchfield Country Club are tree lined with giant live-oaks that date back to the 18th century. The golf course is not long according to today’s standards playing at 6,752 yards, but accuracy and strategic placement off the tee are important. If you would like to experience the history and charm of one of the first Myrtle Beach golf courses, you should consider adding Litchfield Country Club to your next Myrtle Beach golf itinerary. 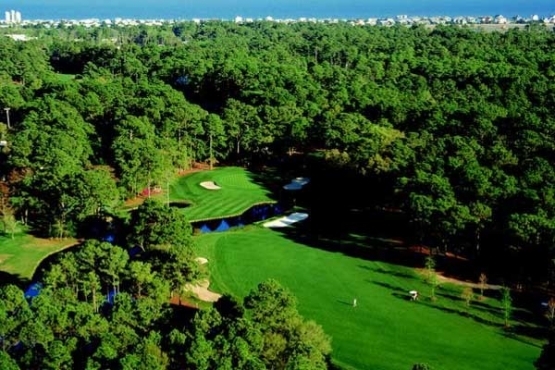 Myrtle Beach golf packages offer the very best in Myrtle Beach golf deals and so much more. They include the very best in Myrtle Beach accommodations and Myrtle Beach entertainment. When you play Litchfield Country Club be sure to take your camera, as it offers some spectacular Myrtle Beach golf photo opportunities. The mild Myrtle Beach weather is waiting for you to book your next Myrtle Beach golf package. Book today!